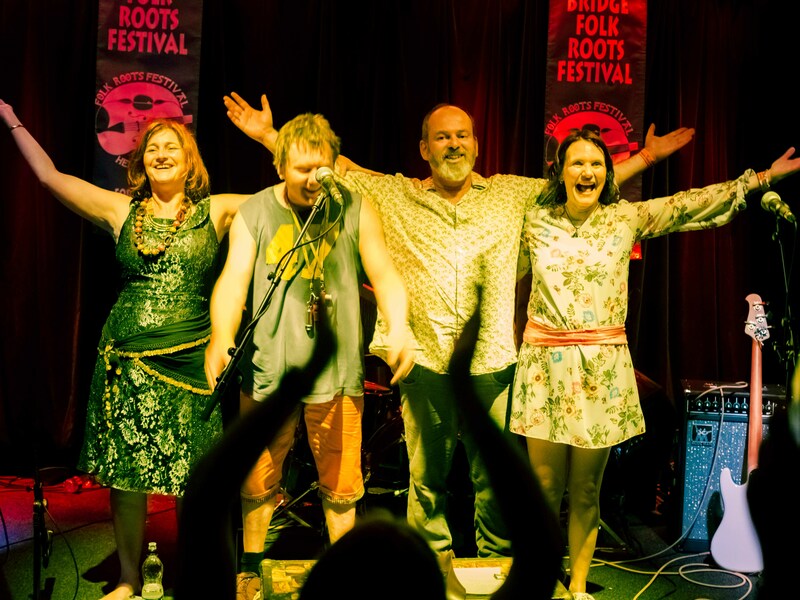 Terrific road trip for Celtarabia last night, Saturday night headliner at Hebden Folk Roots Festival. We played a storming two hour set of full on transglobal dance music, fusion dub, tribal dervish, medieval with attitude music and songs to a fabulous packed house who danced all night long up at the legendary Hebden Bridge Trades Club. What a blast, grooves galore and superb fun. 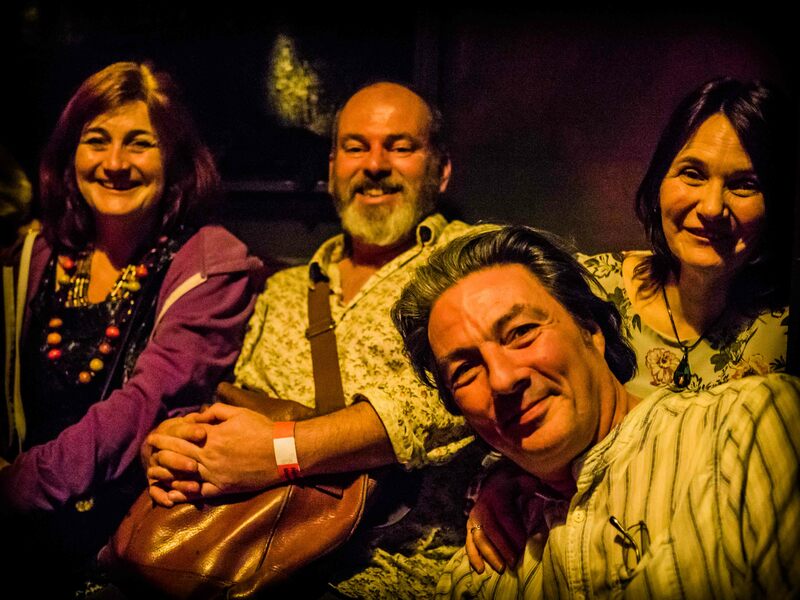 Quentin Budworth – Hurdy Gurdy, Amanda Lowe – Hammer Dulcimer, Mark Chillington – Drums, Lou Duffy-Howard – Bass. Tritor opened the show with a great set of medieval songs and tunes and joined us on stage for Bear Dance. Brilliant night, see you next time! That looked like an amazing evening – you were all really enjoying yourselves so I’m guessing that the audience did too! !